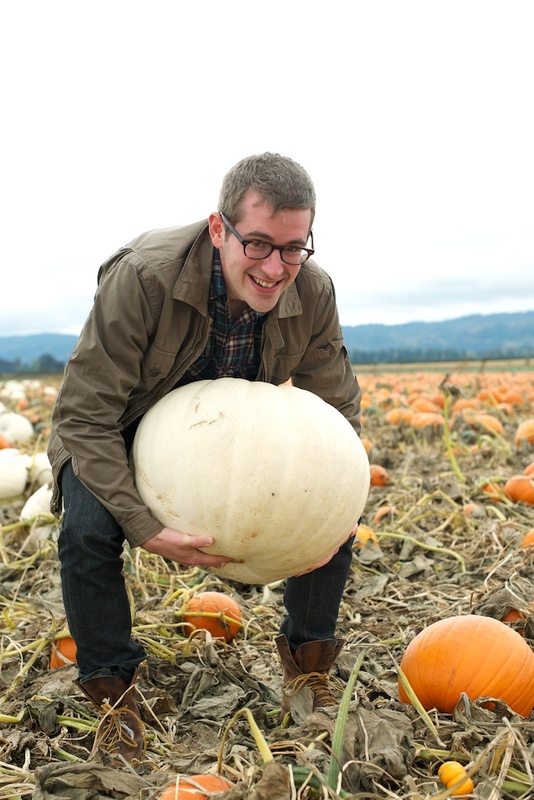 A few weekends ago, Justin and I, along with several friends, drove the ten miles from SE Portland to Sauvie Island, on a pumpkin picking quest. 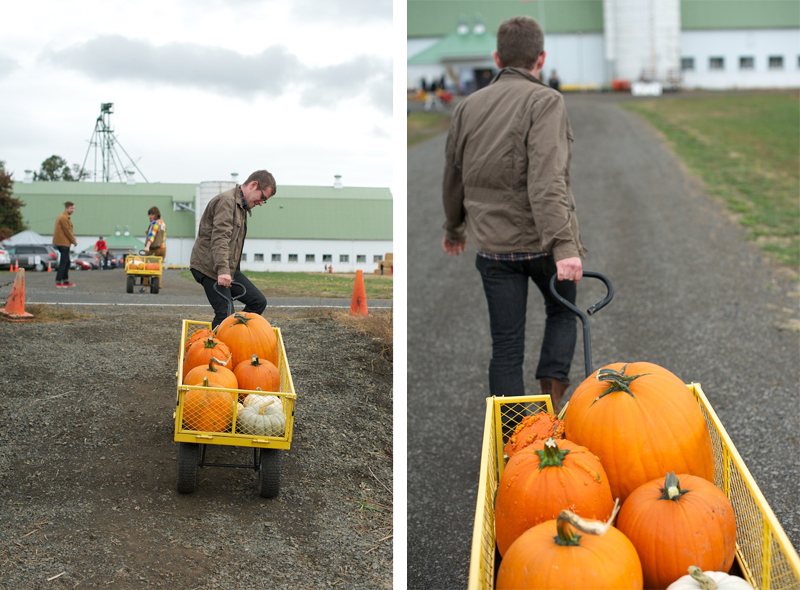 We chose Columbia Farms, a friendly and non-gimmicky location to pick pumpkins directly from the patch. 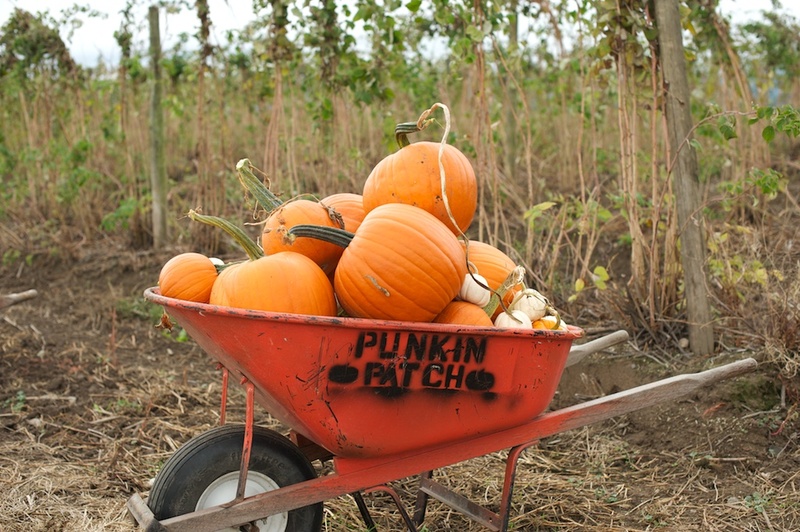 The farm grows several varieties of heirloom pumpkins, offering options that include perfectly shaped carving pumpkins like Luminas, sage-green varieties like Jarrahdales, and pumpkins that look like they've been spray painted white. 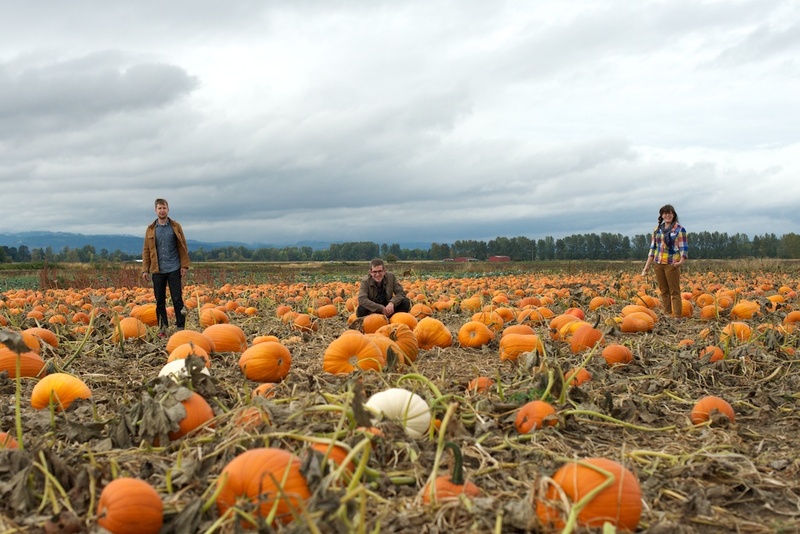 I was easily captured by Portland's atmospheric fall weather, especially the contrast between the moody sky and the colorful, gnarly gourds. 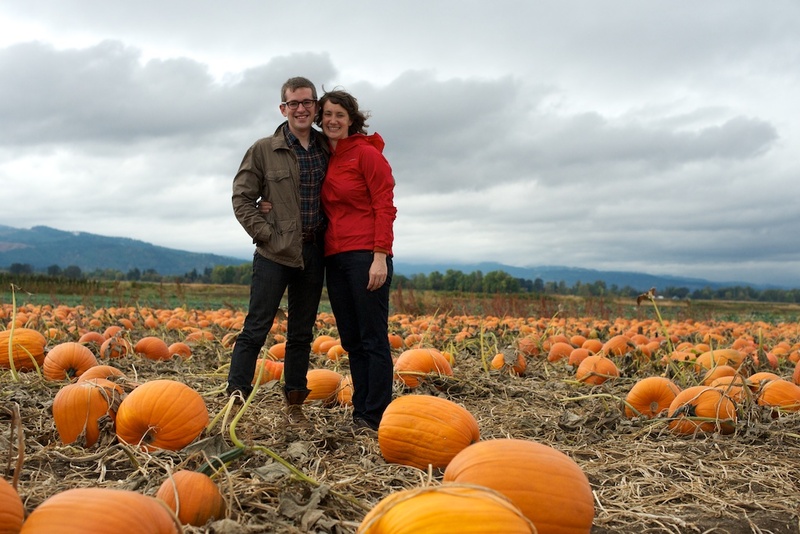 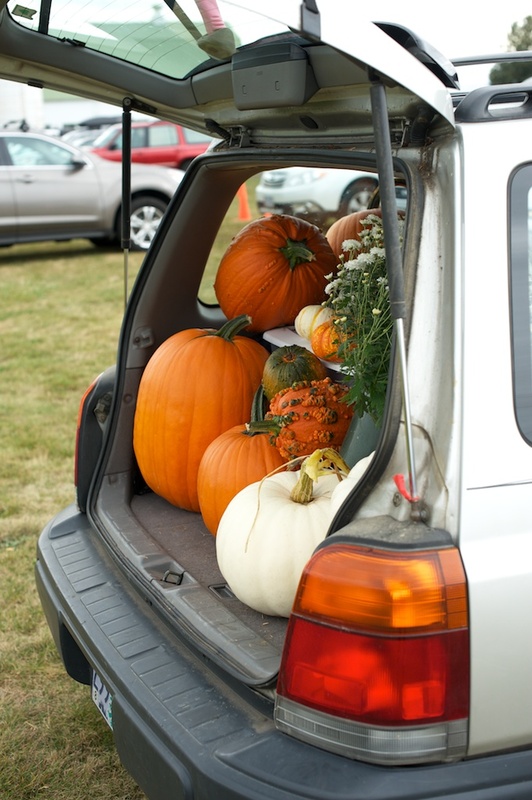 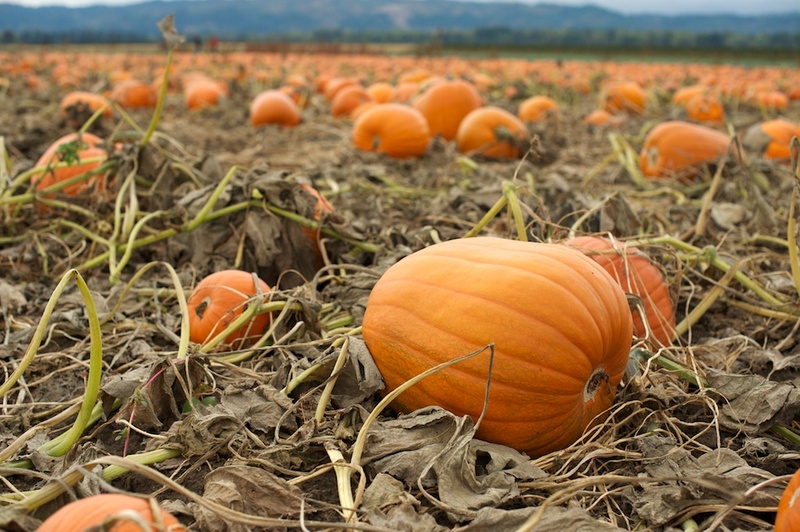 My parents flew into town last week for a mid-fall visit, and with their trip falling so close to Halloween, we decided to drive out to Sauvie Island on Sunday to pick carving pumpkins from Columbia Farms.